My name is Paulino Damiano from Embu District which is located around 250km from the Kenyan capital Nairobi. When I was growing up in early years of 1980’s, I witnessed massive destruction of Mount Kenya carried out through various illegal activities such as unlicensed logging, charcoal burning, Shamba systems where community members were allocated lands to cultivate and protect the plantations which later lend to massive destruction and also illegal charcoal burning. I made my mind at the age of 15 years that later on I will do something to restore this forest. 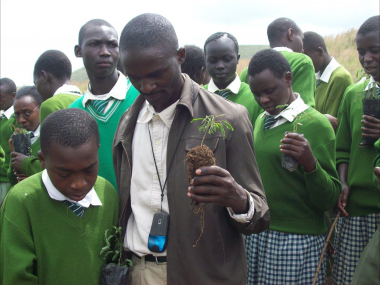 In the year 2007, together with some other youths from my area, we registered an organization to start planting trees in Mount Kenya forest and in the same year we established our first tree nursery to raise seedlings for that purposes. I worked for the organization for two years as program coordinator till 2009 when i was hired by Trees for the Future U.S.A. to be Kenya Program Coordinator to overseeing all activities which included; seeds distributions, trainings in Agroforestry and environmental conservation awareness as well as supporting reforestation. 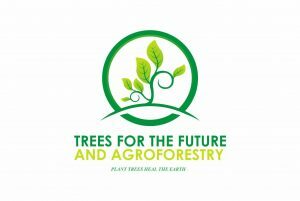 In the year 2012, I registered a local Non Governmental Organization called Trees for the Future and Agroforestry to continue work of forest restoration, agroforestry programmes, climate change mitigation and adaptation as well as greening school programmes. 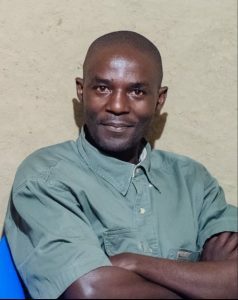 On March 2016, I left Trees for the Future U.S.A to continue with growing my organization Trees for the Future and Agroforestry. Certificates: Tran boundary Protected Areas, Management Planning, Monitoring our Conservation Work and Climate Change. Certificates: Operational Logistical support of the UN Peace Keeping Missions and Conduct of Humanitarian Relief Operations; Principles of interventions in Peace Keeping Missions. Operational logistical support across the UN Peace Keeping Missions which includes providing logistical support and managing the overall logistic processes in support of peacekeeping mission objectives.